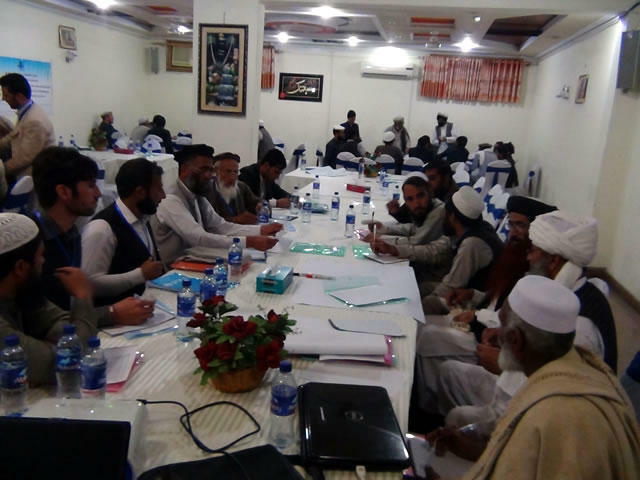 In Afghanistan, we have conducted Peace Actions in which residents in JVC project areas learn from each other about methods of solving disputes among family and/or in the region, as a countermeasure against the current situation of violence and guns being common in their daily lives. On 14th March, an Experience Exchange workshop was held by inviting residents from 5 regions (non JVC project areas) of heavy combat situations, as a new approach to extending our activities. About 50 people participated in this workshop. 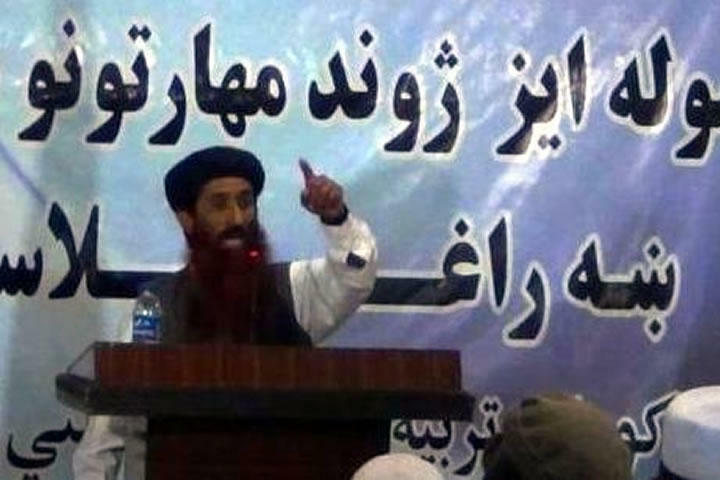 In these regions, three parties, which are the governmental and American forces, the Taliban (the armed group) and the group calling itself IS (Islamic State), continue to engage in heavy fighting with each other, and the security situation is very serious. There are many civilian victims and many people escape to urban areas from their region. Experience exchange with these regions is difficult due to the security situation, so it was a breakthrough opportunity. Live broadcast of the preparation time. Communication between the Afghan and Japanese staff (heartwarming). 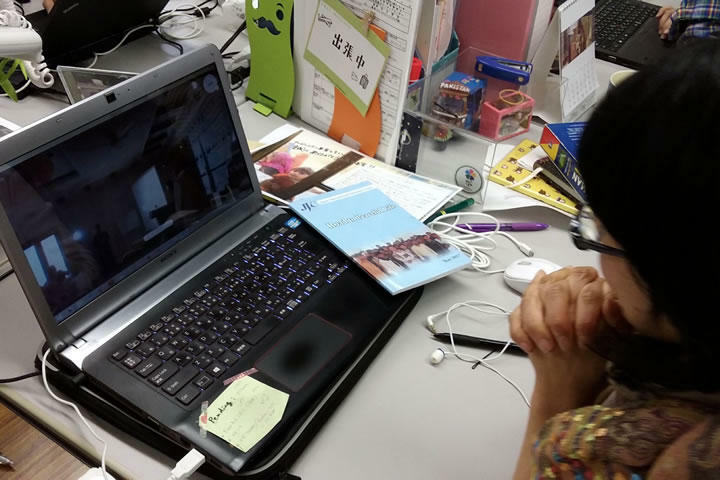 A Japanese staff member in charge of the Afghanistan project watches the workshop from Japan. 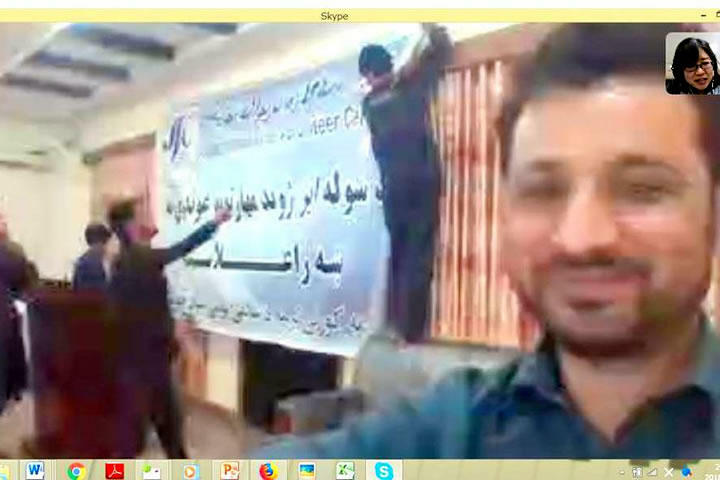 We, the staff in Japan, watched the workshop live via Skype, connecting the Japan office to the site in Afghanistan. 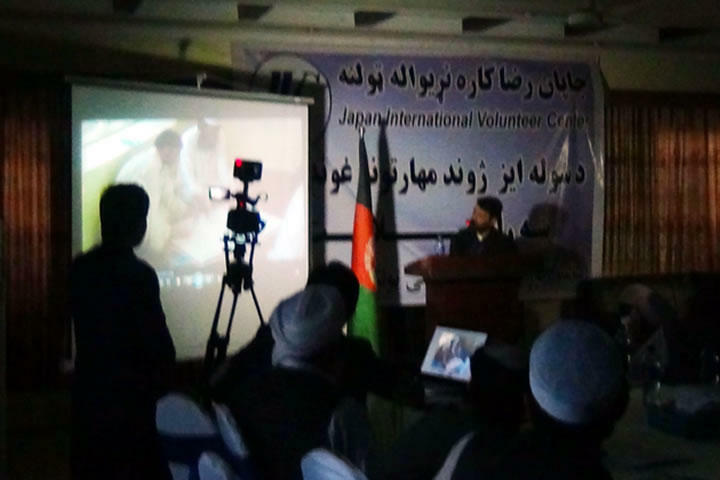 Actually, the Japanese staff cannot go easily to Afghanistan due to the security situation, so we were very glad to participate in this activity in Afghanistan in this way. 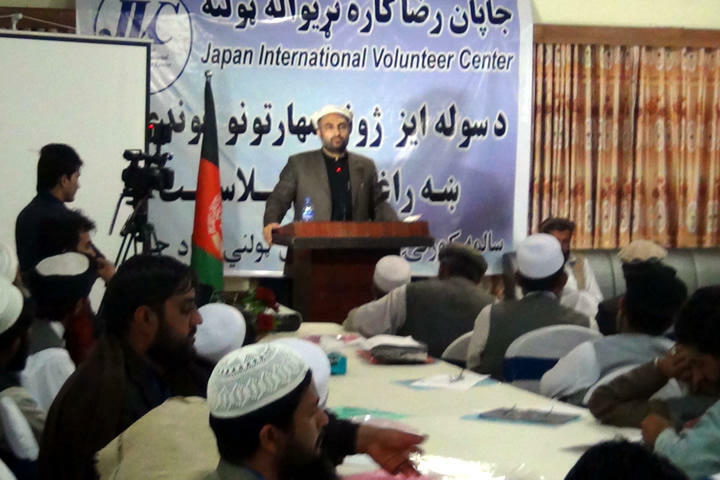 We also feel that teamwork between the staff in Japan and in Afghanistan was strengthened. Video screening to explain the activities of JVC and to introduce the residents in the project areas. Greeting and presentation by the JVC staff. In this workshop, JVC activities were explained by the JVC staff, residents in the project areas and a presentation video. The explanations covered how the residents in the project areas have achieved stabilization and unity in their regions through activities for regional healthcare and education in cooperation with JVC, and how we conduct new learning activities for peace and non-violence. Group work by the participants. Residents from conflict areas also made some comments. We felt pained hearing their very emotional comments which lamented the current situation. Also, they said that the current situation was caused by the non-existence of resident unity in their region and they must follow JVC’s peace and non-violence actions, education actions, and approaches in the region. A detailed report of this workshop will be posted later. In the JVC project areas, the situation is kept relatively calm, as a result of collaboration with the residents. We plan to expand our activities and collaborate with other regions by informing them of our activities and calling for their participation. 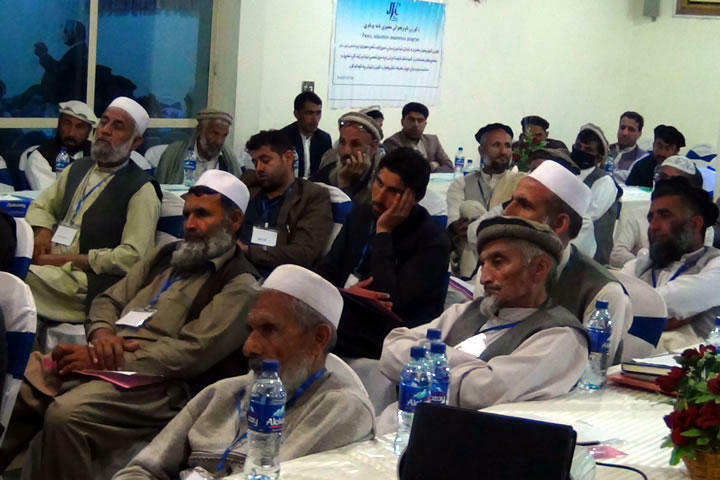 Please support our “Learn about peace and non-violence” activities so that Afghan people suffering from continued conflict can live in security. Unfortunately, our funding for activities is not sufficient. Your support is very welcome!